WALT: share information about ourselves, now that its a new year, and also how everyone is a new classroom. Malo E Lelei and greetings to you all, My name is Losana and I am a year 7 student, currently attending to Tamaki Primary School. The classroom I am in for 2016 is Rm 10, the teacher of that classroom is Miss Aireen, and the teach aide of that classroom is Kelly. In School my favouirte Subject is READING!! 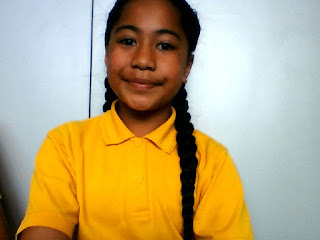 My favouirte Sport is NETBALL, and my favouirte food is Mc Donalds!! This year I am looking forward towards making myself a better person, and also choosing the right path, in life. I am also looking forward to thinking about what kind of crowd I would choose to surround myself with. One person that inspired me was my sister Stephanie, the way she inspired was because, though she made mistakes in life she choose to pick herself up. Another reason is because she told me when life knocks you down you choose whether to get back up.